The construction of the prototype Large-Sized Telescope (LST) of the Cherenkov Telescope Array (CTA) project, in which Prof. Hiroyasu Tajima and Jr. Assoc. Prof. Akira Okumura of the Cosmic-ray Research Division, ISEE, are full members, has been completed and its inauguration ceremony was held on the island of La Palma, Spain on Oct 10, 2018. LSTs observe celestial gamma rays in the main energy coverage of 20–150 giga-electronvolts (GeV), and are capable to observe up to 3 tela-electronvolts (TeV). We plan to construct 4 LSTs at both the CTA northern and southern sites, among which this prototype LST will be the first one. 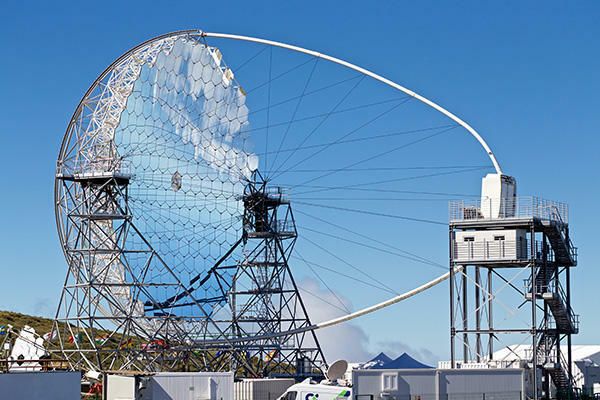 After the completion of the LST arrays with other smaller size CTA telescopes, LSTs are expected to play a significant role in many high-energy astrophysics topics, such as observations of gamma-ray bursts (GRBs) and active galactic nuclei (AGNs), and indirect search for dark matter. The ISEE CTA group has been actively working on the development of the focal plane camera and optical system of LST as well as significant contributions to CTA medium-sized telescopes and small-sized telescopes. The first Large-Sized Telescope. The 23-m parabolic mirror is made of 198 segmented mirrors. The focal plane camera with a diameter of 2 m is seen on the right side. Prof. Takaaki Kajita (Director of ICRR, Univ. 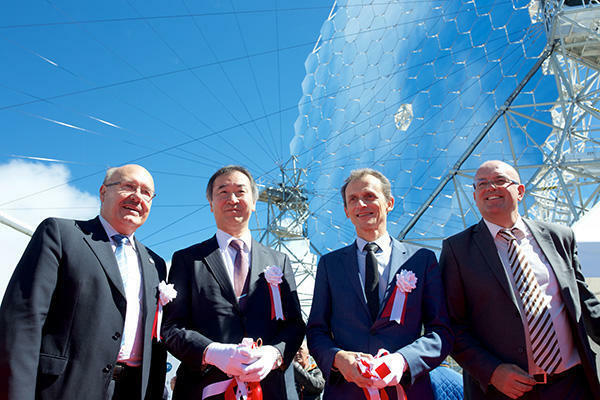 Tokyo, Nobel prize in physics 2015, second from left) and the 1st LST. 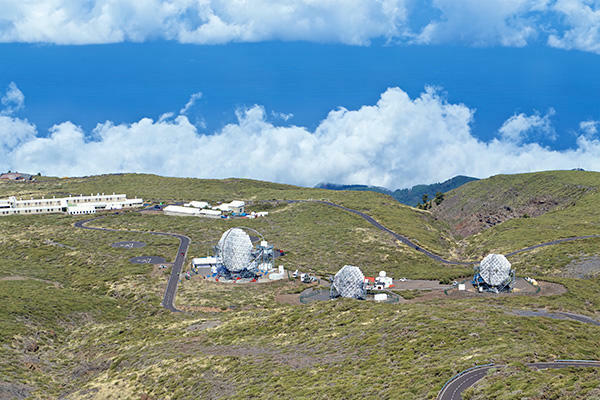 The 1st LST (left) and MAGIC-I (center) and MAGIC-II (right) telescopes at Roque de los Muchachos Observatory, La Palma, Spain.